B202(FF) = No more data available ! Laying queen imported, from Franz & Klaus Fehrenbach (DE).. Laying queen imported, Franz & Klaus Fehrenbach (DE). S108(RS) = No more data available ! 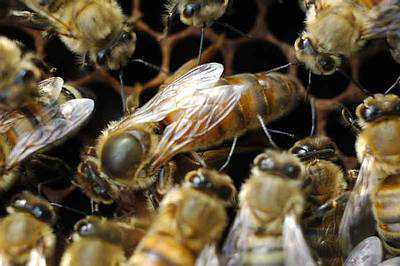 Laying queen imported, from Reiner & Sylvia Schwarz (DE).. Supplied drones by 5 sister colonies, bred by Heike Aumeier (DE). Supplied drones by 2 sister colonies, bred by Heike Aumeier (DE). Supplied drones by 3 sister colonies, bred by Georg Zierer (DE). Supplied drones by 22 sister colonies, bred by Christian Peter (DE). Supplied drones by 8 sister colonies, bred by RS & JV. Supplied drones by 24 sister colonies, bred by Thomas Rueppel (DE). × GR109(TR) : B15(AH), B46(AH), B30(AH), B93(AH), B202(FF). × B108(CHP) : B15(AH), B46(AH), B93(AH), B127(AH), B74(AH). × S111(RS) : B46(AH), B101(AH), B93(AH), B127(AH), B74(AH), B15(AH). × B199(PJ) : B46(AH), B93(AH), B127(AH), B122(AH). × B710(ZG) : B15(AH), B122(AH), B74(AH), B46(AH). × B19(AH) : B46(AH), B122(AH), B93(AH), B127(AH).